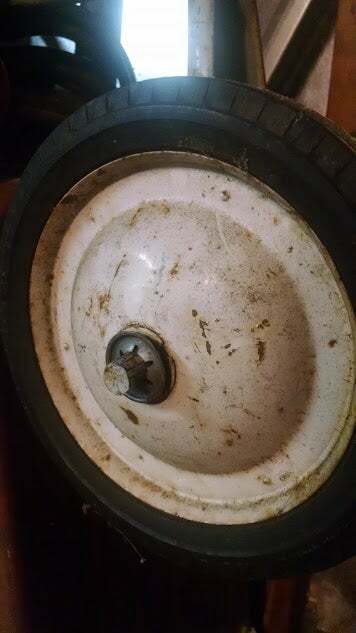 Wagon help: How to remove a star nut without damaging it? I’m working on cleaning up an old wagon for my kids. The sidewalks in my town are brutal, so I want to put some bigger pneumatic tires on it. Is there a way I can take these star nuts off in a way that I can reuse them? Or conversely, are these something I can buy? I’ve never seen them, but that doesn’t mean I haven’t looked at them a thousand times without noticing them.